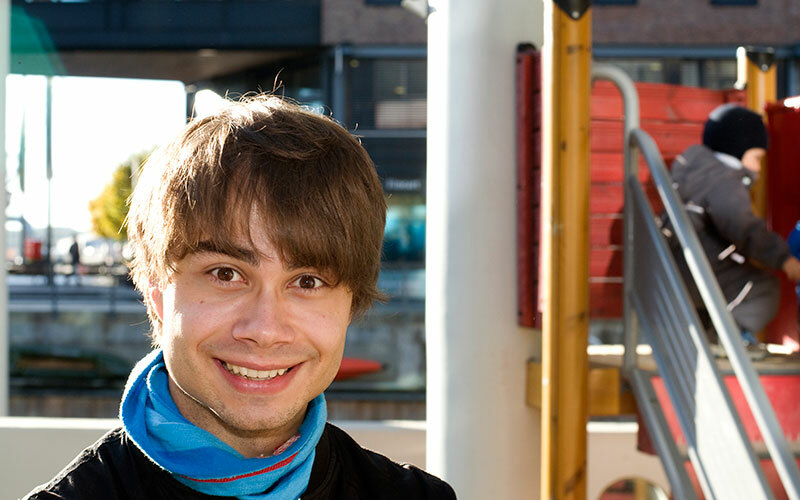 "Alexander Rybak was a hero at the parties in Kindergarten"
For Alexander Rybak, the parties was the best about kindergarten. Then he could be a hero. – Celebrations! It is the parties, I remember best from kindergarten. 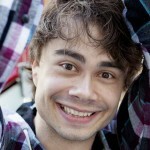 We dressed up, had carnivals, and it was very fun, says Alexander Rybak (29), who went to kindergarten in Belarus from he was two years until he was five. In addition, he went to cultural kindergarten. In the cultural kindergarten, everybody had to play an instrument. Alexander started playing piano, and he was rewarded because he was the best. – As a prize I got the finest mask, which I used at the carnival. And in the children-fairytale we performed, I got to be the hero. This was also a part of the prize for the piano-play. In the autumn, Alexander debuted with a self-written fairytale, the children’s book “Trolle and the magic fiddle”. 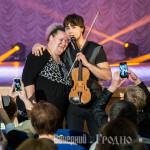 And it was precisely with the fiddle Alexander himself captivated the audiences when he as a 23-year-old won the international Eurovision finals with the highest number of votes ever. The Winner melody Fairytale, Alexander had written both lyrics and music for. Alexander was born in Minsk in the Soviet Union in 1986. When he moved to Norway, the Soviet Union was dissolved, and Minsk was the capital of Belarus. In Belarus, they learned to read and write in kindergarten, and the discipline was completely different from what Alexander experienced when he came to Norway. – But I never experienced that they were strict in kindergarten. I did not know about anything else, explains Alexander. Alexander says that he has never learned what it was like, not to fulfill expectations in school. He was good in most things. The family had little money to spend, they shared a few square meters with another family. Most he knew had it like that. In the cramped space, there was no place for the Christmas tree. But there was in the nursery, and the tree was large. – I have great memories. There was a lot of school, learning and effort, but then we had the grand feasts, like carnival and Christmas with Christmas tree, recalls Alexander. The transition to Norway was huge. The biggest difference was discipline. He taught himself Norwegian quite fast. An episode from the second class has stayed in the memory. The class was tasked to read a half-page in a book of short stories. Alexander found the book was funny, and read throughout the book till the next day. The teacher was a little sour for it, especially when he told the other kids which stories were most fun. – I experienced being scolded because I was too clever. In Belarus, they cultivate their strenghts and share them with others. After the Grand Prix adventure, Alexander among others, has traveled around and had musical workshops with children, who end up in a concert where he plays and sings with the children. – Everyone has a talent. Some have green fingers, others are good at running, some are musical. Everyone should be proud, and cultivate their strengths, he says. In childhood he himself had great opportunities to evolve musically. In Belarus he went to music kindergarten. There he learned music theory. He also received private lessons in both piano and violin. The concerts with children that he had, in the USA, Sweden and Norway led to him eventually write a childrens book. 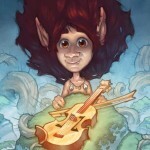 In the autumn, came the book “Trolle and the magic fiddle”. – What can preschool teachers do to stimulate interest for music in children? – To open musical doors for kids at an early stage is very important. To tell about different genres of music in a pedagogical manner, for example by reading my book, smiles Alexander. – You’ve just been in Belarus. What are you most fond of in your mother-country? – Belarus is a small country, it is milder than Russia. We tend to say that when the Russians do not smile, they are grumpy. When Belarusians are not smiling, it’s because they are melancholic. Many say, that it is a dictatorship. Now I’ll be careful not to comment on politics. But anyone who has been to Belarus will be pleasantly surprised. We have beautiful nature and beautiful girls, says Alexander, who currently commute between his two countries. Recently he founded a girl band in Belarus and he will have concerts with them in the future. – I feel more at home there than in Norway, says Alexander. This article was first published in the journal First Steps number. 4/2015. 52 Christmas concerts throughout the country.